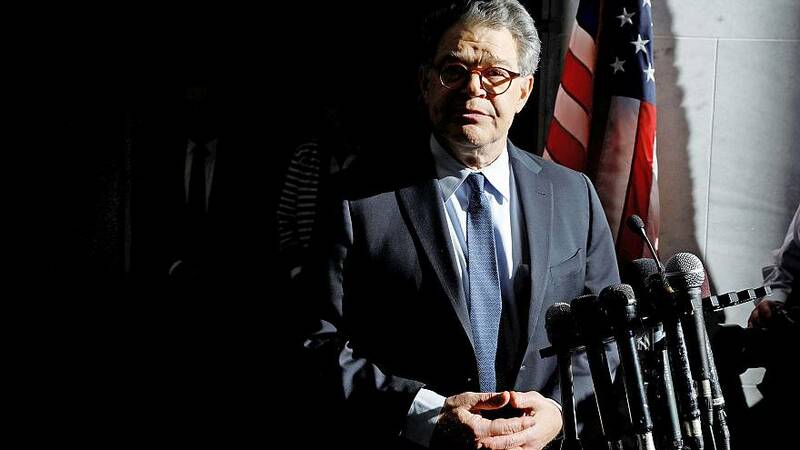 "I may be leaving the Senate but I'm not giving up my voice," Franken said in Minneapolis. "Whatever it is that we do next we will do it together," Franken said, beginning to choke up. "While I can never thank her enough for her love and support, I am willing to spend the rest of my life trying, honey." The former "Saturday Night Live" comedian was in the middle of his second term as the U.S. Senator from Minnesota, when he was dogged by multiple sexual harassment accusations from the past. Though the senator welcomed the Senate Ethics Committee's plans to investigate the allegations, his fellow Democratic colleagues ultimately pressured him to give up his seat. Meanwhile, President Trump's approval numbers among women in the state sit at 40 percent while 58 percent disapprove, Public Policy reported.